Not quite ready to sleep the eternal slumber of death? 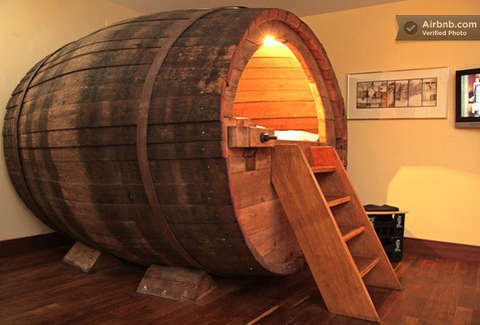 Well then head to Germany and take a brief nap in an giant freakin' beer barrel. That's right: via Airbnb you can now book a private room in the town of Ostbevern boasting a queen-sized bed inside of a wooden, 19th-century suds receptacle, which was still producing brews that helped people pass out until 1995.